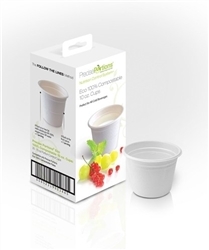 This innovative, elegant dietitian-designed white porcelain portion control fruit and snack bowl is a perfect compliment to any of our portion control plates. In our tradition, it too follows all of the best practices for eating well. 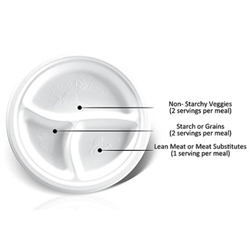 It has dietary guidelines printed on to the inside of the bowl itself. This helps to reinforce your discipline to help you achieve your dietary objectives and goals. 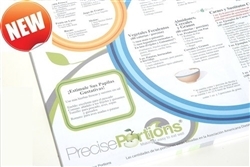 The printed advice is precise and based on guidelines prescribed by American Dietetic Association & American Diabetes Association and has long been accepted by professionals in the nutrition field. 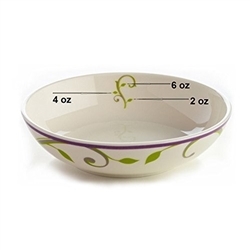 In addition to the printed dietary advice, this portion control bowl is visually attractive due to the alluring style of the design. 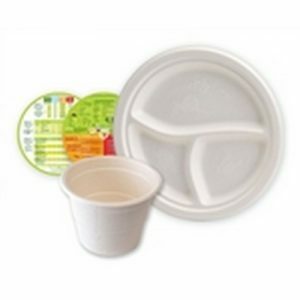 Presenting you with Portion Control you can be proud of!